One of the best parts about having a boyfriend that cooks is that he is constantly looking for new ways to spice up our weekly menu. It can get pretty boring when you work at home and are constantly having the same food over and over again. That's why he loves to pore through cooking books, cooking channels on Youtube and blogs for inspiration for new dishes. This week he perfected, with the help of Google, a recipe he tried in the past and I must say that it was a huge success. As soon as I finished capturing these photos, I sat down to enjoy my plate and it was so good. I love that he was able to take one of my favorite veggies (squash) and fill it with queso fresco, which is similar to a chile relleno which is a favorite dish of mine. 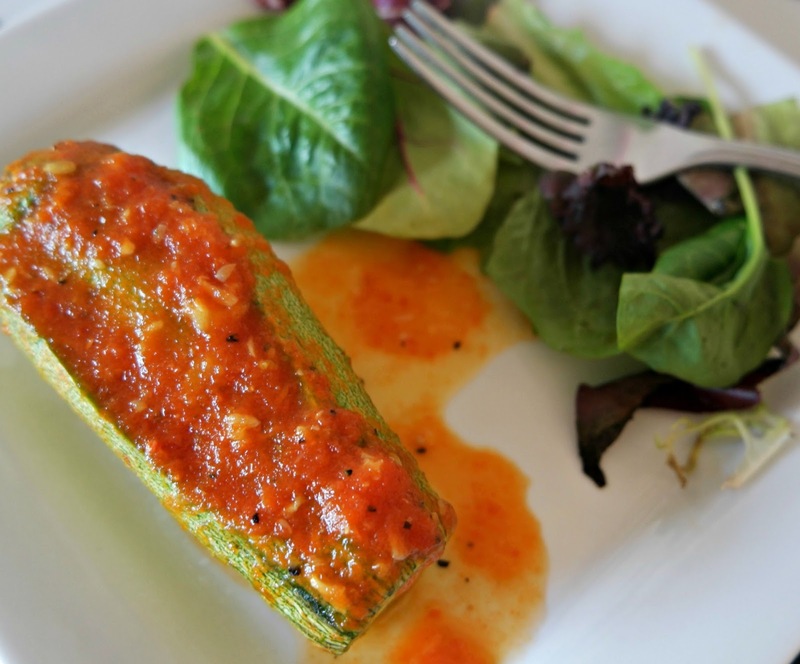 See how easy it is to make Calabacita Rellena. Wash and cut an opening on the two squashes and clean them out. Save the inside to use in the broth. Fill squash with a few slices of queso fresco, cover with the top of the squash and if necessary use toothpicks to keep them together. Set to the side. For the broth we will put the tomatoes, garlic, onion in a blender with 1/4 cup of water, blend until smooth. Now place a pot on the stove and allow it to warm up a little before adding contents of blender and heat for about 3-4 minutes. Add 1 cup water, 1 cube Knorr Tomato Bouillon, bay leaf, and a pinch of salt and pepper, and the seeds that we took out from the squash, cook until boiling for about ten minutes. Once boiling carefully add the two squashes and cover pot. Allow to cook for another 10-12 minutes or until squash are soft. Serve hot and top with a few spoonfuls of the broth which is super flavorful! Phew, that actually sounds like a lot of work but as Adrian has explained to me, you have to follow each step and layer because that's how you get the most flavorful broth. I think I will definitely let him cook these for me in the future because I am just not that patient. However, the dish turned out so delicious and I can't wait to have it again. While I was enjoying my plate I kept wishing I had a piece of crusty bread to soak up the broth which was super yummy. You can really taste how the Knorr Tomato Bouillon, bay leaf and seeds from the squash all added their own bit of flavor to each single bite. I loved this new take on a stuffed veggie that Adrian came up with using our traditional Mexican flavors. I really enjoyed this Calabacita Rellena and hope it has inspired you to get into the kitchen and come up with some new creations of your own. 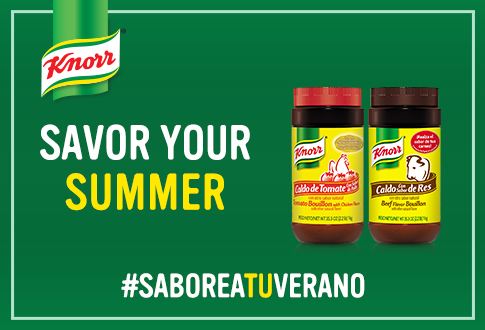 Don't forget that you can find Knorr products at Walmart at a super low price and that it's such a versatile product.